The Linton Mobile Commode is an ex extremely practical and comfortable commode. It is chrome plated and features a padded cushion overseat and back. The Linton Mobile Commode is an extremely practical and comfortable commode. 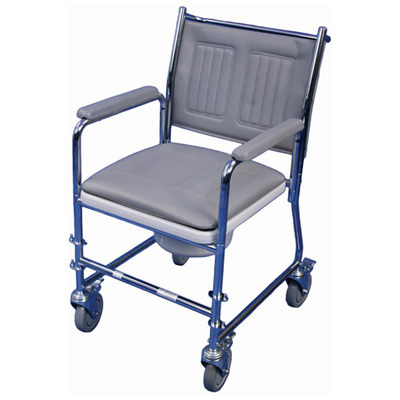 It is chrome plated and features a removable vinyl moulded padded cushion overseat and back. The plastic commode seat is simple to maintain and clean and the arms are detachable.